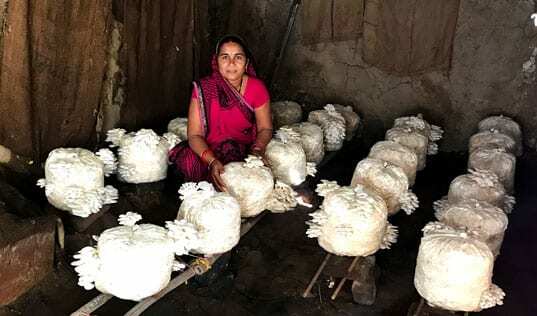 Editor’s Note: This editorial was originally published on the blog of Business Fights Poverty, the world’s largest network of professionals harnessing business for social impact. On the edge of the Peruvian rainforest, many farmers are struggling to make their cocoa and coffee farms profitable. Low crop yields provide little income, and the lack of income prevents them from purchasing the inputs they need to increase their yields. It’s a cycle that keeps them mired in poverty. But a solution is on the horizon – an innovative approach to harnessing the expertise of the private sector. Since 2011, TechnoServe and the PIMCO Foundation have collaborated on the Emerging Enterprise Program to support farmers and entrepreneurs in Latin America. The partnership is grounded in the idea that among a company’s greatest assets are its employees’ skills, experience and drive, and that leveraging these assets can be a powerful way to fight poverty. The most important outcome of the Emerging Enterprise Program is transformation – not just for the PIMCO volunteers, but for TechnoServe and its clients, too. 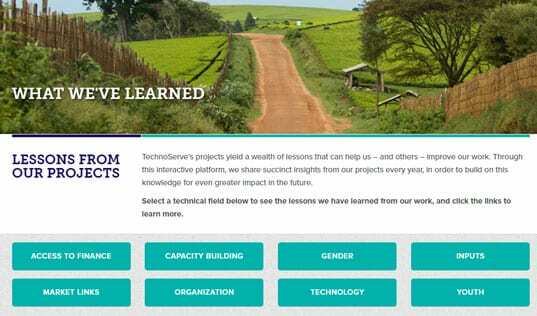 Every year as part of the program, employees from the global investment management firm PIMCO have taken on assignments of at least six weeks with TechnoServe. In years past, these volunteers have worked to increase market opportunities for women cassava farmers in the Garifuna communities of Honduras and developed a strategic plan for El Salvador’s coffee sector, among other projects. This year, four PIMCO volunteers traveled to Peru to help TechnoServe address the critical lack of input credit that is holding farmers back. Emerging from years of conflict and violence fueled by the drug trade, the Peruvian region of San Martín has experienced a rebirth of hope. More and more farmers are abandoning coca – the raw ingredient used to make cocaine – for alternatives like cocoa and coffee. Residents who fled the violence are returning to farm their families’ land. 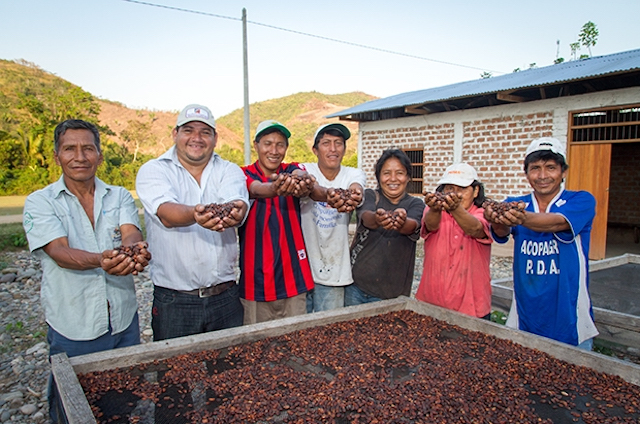 TechnoServe has worked with these farmers since 2010 to improve the profitability and yields of their farms, increasing the size of participating farmers’ harvests by an average of 38 percent and generating $10.5 million in new cocoa sales. But many farmers still struggle to afford inputs that can increase yields even more. For instance, only about 17 percent of farmers use fertilizer, according to a government survey. Often, it is just a question of finances: only 12 percent of farmers in San Martín have access to credit. Lending institutions have not adapted financial products to suit smallholder farmers, few of whom currently qualify for loans. That’s where the volunteers from PIMCO came in. Working closely with TechnoServe staff, the PIMCO volunteers visited with farmers, cooperatives, lending institutions and fertilizer vendors, drawing on their finance and marketing expertise to analyze the situation and develop alternatives. The TechnoServe staff shared their hard-earned knowledge of Peru’s agricultural sector and helped to make connections and arrange meetings with important actors in the market. The result of this collaboration between the TechnoServe staff and the PIMCO volunteers is a new model for input financing that focuses on the needs of Peru’s farmers. Under this model, borrowing will be conducted by cooperatives, and when co-ops don’t exist, farmers will be grouped into clubs. 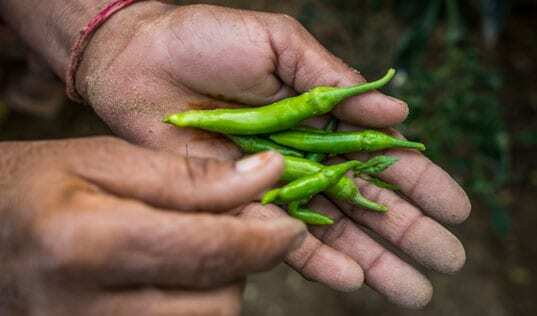 Come harvest time, the cooperatives will supply member farmers’ crops to an exporter, and the lender will then deduct the cost of the loan from the payment that the co-op receives for its crops. With this approach, co-ops or clubs will be able to disperse loans to individual members who would not have been able to access credit directly from a lending institution. The loans will be distributed directly as inputs like fertilizer, rather than cash, meaning that farmers will receive the benefits of bulk purchases. And alongside the loans, farmers will also receive technical assistance to help ensure that inputs are used properly and yields rise. The new model will be rolled out next year, and after a pilot phase, could reach as many as 30,000 farmers. While the idea of corporate volunteerism is not new, parting with highly-skilled employees for six weeks or more at a time is a significant sacrifice for any firm. However, the Emerging Enterprise Program allows volunteers to do truly substantive work that creates a lasting impact on the lives of some of the poorest communities in Latin America.